Public lands • Old idea rekindled by a new generation frustrated with federal government. Western land wars and resentment of the federal government are almost a part of Utah's DNA, with battles flaring and fading for generations. 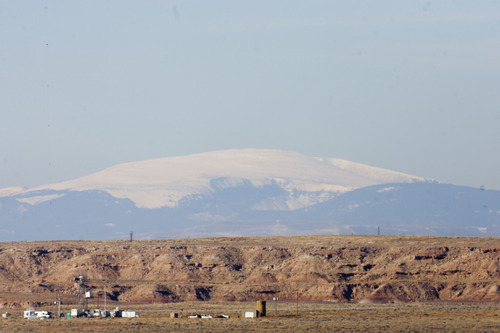 But the Utah Legislature is aiming to instigate a confrontation the likes of which hasn't been seen in more than 30 years, as it seeks to foment a second Sagebrush Rebellion, challenging the very right of the federal government to own and manage federal land. 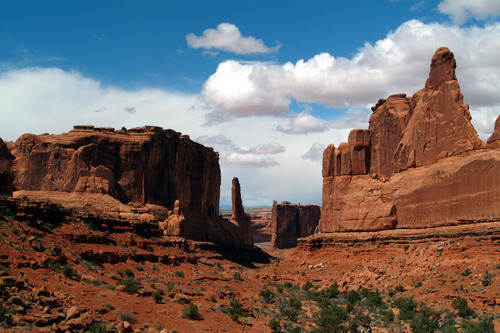 This week, the Utah House passed a package of bills that demands that the federal government surrender ownership to the state of more than 30 million acres of federal land. If Congress fails to act on the demand, money has been set aside to initiate a lawsuit and permission granted to take other, undefined sovereign actions. The measures are intended to dismantle a national monument, free up trillions of dollars in oil, gas and coal reserves, and give the state authority to set conditions for the use of national parks. "This is our time to write the history of what will happen in our state," Rep. Ken Ivory, R-West Jordan. "This is our time to look not to the next election, but to the next generation." 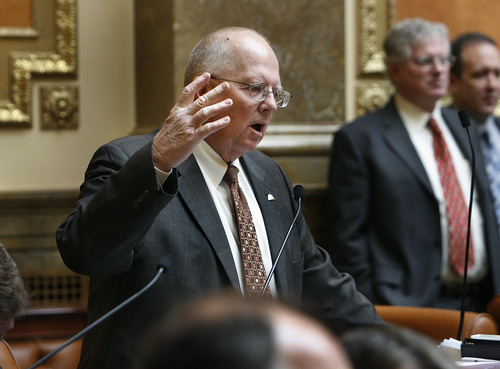 Proponents say that the time is ripe to push back against the federal government, which they argue broke a promise it made at Utah's statehood to relinquish control of the land. The long-standing resentment has been heightened in recent years by complaints that Washington, D.C., has become even more oppressive. "My perception is this year is building upon 20 years of growing frustration caused by the federal government imposing more and more duplicative restrictions," said John Harja, who has been involved in the Utah lands battle under four governors. "You look at the rancher that has difficulty keeping his allotment open because of an endangered species or view-shed issue … people see their ability to get a simple solution being blocked constantly, and they're getting more and more frustrated, and I think that frustration is driving this," he said. That frustration echoes the sentiment that drove the first Sagebrush Rebellion in the West more than three decades ago when Utah, following Nevada's lead, passed a law to nullify federal land ownership, putting the acreage under state management and instigate a lawsuit. "We are just now beginning to assert ourselves," then-Gov. Scott Matheson, a Democrat, told the Christian Science Monitor in 1980. "The burden is on us to put our act together and force it on the federal system. They are not going to give anything up without a fight. 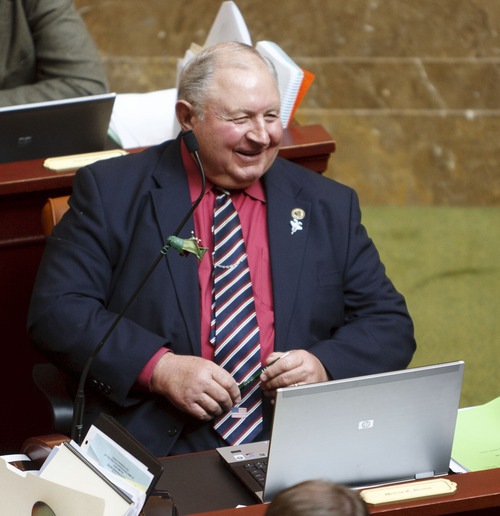 We have got to take it away," he said, weeks after he signed into law Utah's first Sagebrush Rebellion Act. In Congress, then-freshman Sen. Orrin Hatch introduced legislation requiring the federal government to transfer land to the state. But the lawsuit never came, Hatch's bill never got serious consideration, and the fire faded somewhat after Ronald Reagan was elected. Since then, there have been flare-ups  roads lawsuits, fights over management plans  but the state has made little real headway. "I don't think we've gained an inch," said Rep. Mel Brown, R-Coalville, a long-time leader in the rural Cowboy Caucus. "In fact, I think we've lost." The bills approved in the House and sent to the Senate this week would give Congress a deadline to transfer more than 30 million acres of federal lands to the state. That includes the state's five national parks and the 1.7 million-acre Grand Staircase-Escalante National Monument, and several million acres of land protected as potential wilderness. 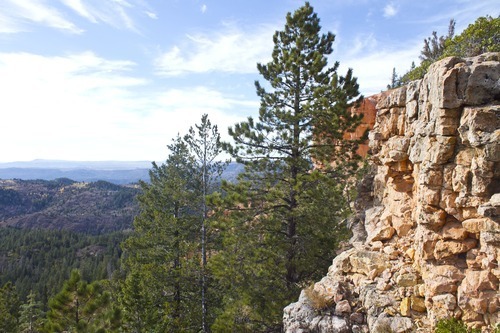 The state would have the authority to allow mining, drilling, grazing, logging and travel through the parks before they are returned to federal control, although Rep. Roger Barrus, R-Centerville, assured that "We want them to be used just as they are. They are a national treasure." 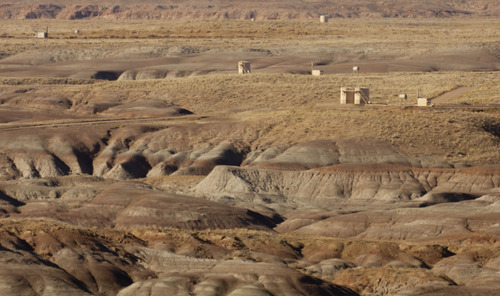 The monument and wilderness study areas would remain under state control, with mining coal on the Kaiparowits Plateau within the monument a key selling point for the plan. Rep. Ken Sumsion, R-American Fork, said mining the coal in the monument could bring as much as $3 trillion to Utah's economy. 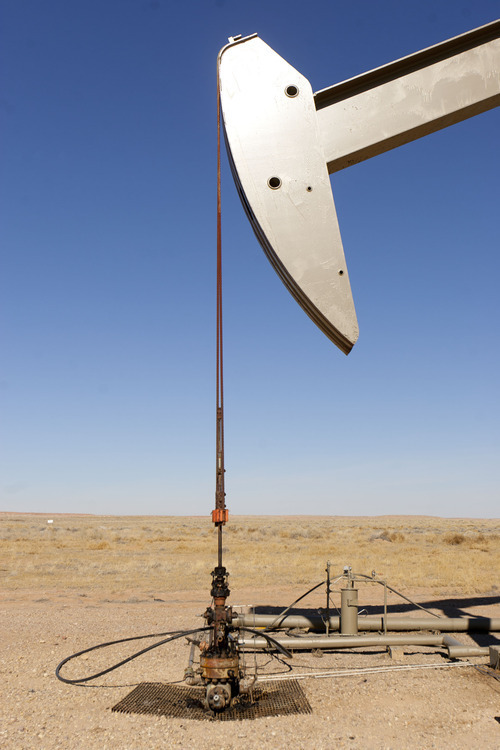 Added oil and gas drilling in the Uinta Basin could mean another $2.5 billion. And, he said, Utah could reverse the federal move to shrink the number of acres available for oil shale and tar sands production. The real winners, sponsors say, would be Utah's education system, which is currently last in the nation in funding. Ivory points out that North Dakota, which has very little federal land, is undergoing an oil and gas boom that has allowed the state to ride through the recession unscathed and spends $7,400 per pupil more than Utah does. The education argument reaches back more than a decade to the time when former House Speaker Marty Stephens and U.S. Rep. Rob Bishop put forward the Apple Initiative. Bishop has continued to push federal legislation that would liquidate federal land to help Utah's schools. But the legal theory behind the state unilaterally claiming ownership of federal land that was the key point of the Sagebrush Rebellion was revived two years ago by Mike Lee, before he was elected to the U.S. Senate. 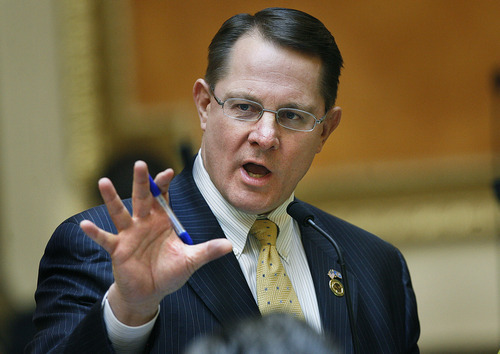 Lee  whose father, Rex Lee, helped Nevada strategize legal arguments in the first Sagebrush Rebellion  told lawmakers during a 2010 hearing that Utah had a reasonable chance of prevailing in its claims of ownership of federal land. "It's not a one-in-a-million, it's not a one-in-thousand. It's significantly better than that," Lee said. "It's an argument that needs to be made. Its an argument that strikes at the heart of the sovereignty of our state." More recently, Lee has urged Utah lawmakers to pass the package of legislation, saying it would help him advance Utah's cause in Washington. But legislative attorneys have cautioned that there is a "high probability" that the package is unconstitutional. And attorneys and environmental groups agree it is on shaky legal ground. "I think it's unlikely that the courts are going to buy the argument," said Robert Keiter, a law professor at the University of Utah. "In part because of the broad authority that [Congress has] held over the public lands, in part because the state-enabling legislation contains two express disclaimers of the public lands by the state." 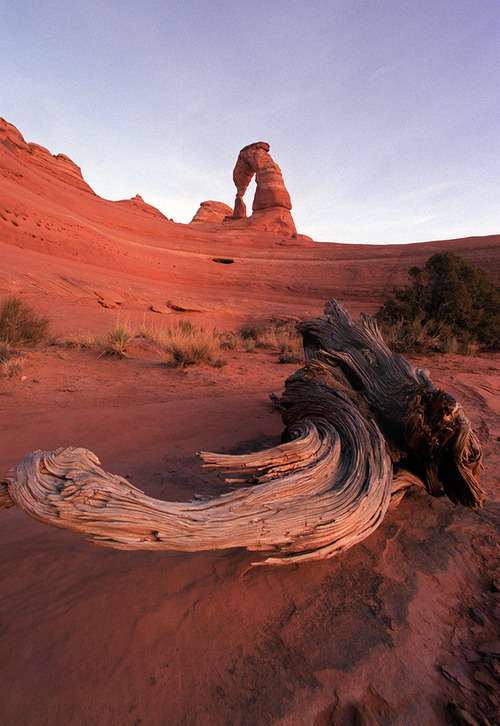 As a practical matter, Keiter said, even if the courts agreed with Utah's argument, the ruling would create chaos across the West by disbanding national parks, forests and wildlife refuges throughout the region. Any shift in lands policy is far more likely to come through Congress, he said, and the bills in Utah do little to help that effort. "It's going to be laughed out of court," said Pat Shea, a Salt Lake City attorney who was the head of the federal Bureau of Land Management during the Clinton administration, who predicts it will only cost the state and federal government time and money and hurt Utah's reputation. "We have this rigidity in Utah that only makes us a laughing stock … and it alienates us from the global marketplace." 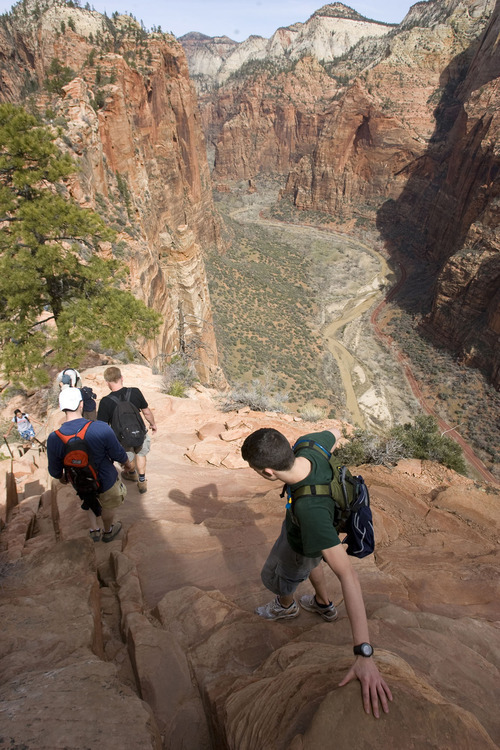 Stephen Bloch, an attorney for the Southern Utah Wilderness Alliance, says Republicans are living in a "fantasy world," and the move is an attempt to help the Legislature's "corporate friends make a quick buck." 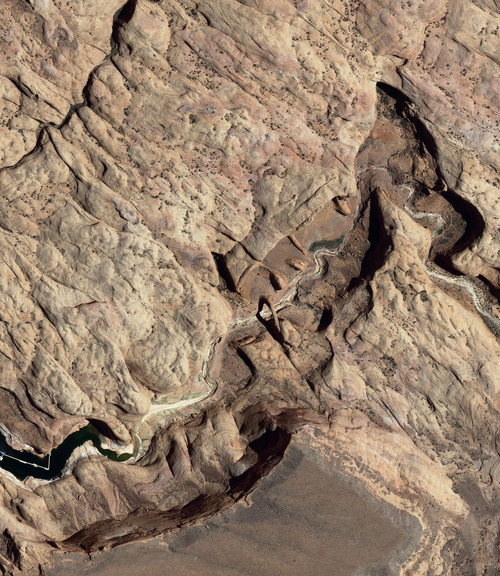 "It's part of the far right's quixotic quest to pretend that Utah did not  as part of its decision to join the United States  give up its claims to federal lands," he said. 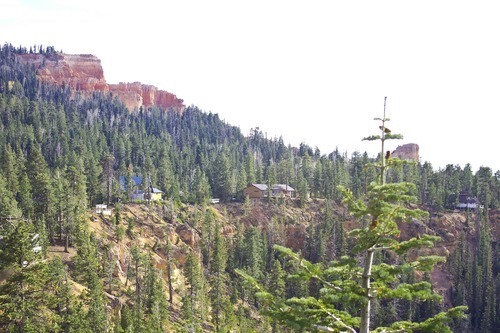 Rep. Mike Noel, R-Kanab, who has fought the federal government over access to land for 15 years, said the strategy is worth trying, although he is realistic about the chances for success. "I'm down on the ground. I've got to survive through the day," he said. "These guys are talking about a 30,000-foot level to win the whole war. … If we can, in fact, win it, it's going to take a long time. These bills and this legal strategy that has come forward, the percent of chance it's got, I'm not going to give you a number, but it's not real high." That's why the state needs to keep fighting for access to roads and grazing, he said. Chief Deputy Attorney General John Swallow has committed that his office will aggressively defend the laws if they pass. While he recognizes it's a tough fight, "we think it's a compelling argument and we want to get it in front of a judge," said Swallow, who is running for attorney general. Gov. Gary Herbert is on board, saying Washington needs to explain why it hasn't relinquished control of land in the state. "It's been to our economic detriment," he said, "and we ought to get an answer to that and if that means we go to court, ultimately, then so be it."